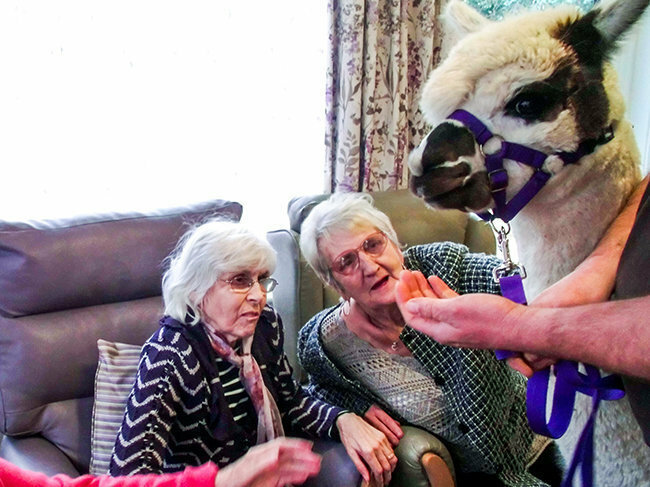 In November, residents at Orchard Blythe residential care home in Coleshill, Warwickshire, enjoyed two amazing animal visits. 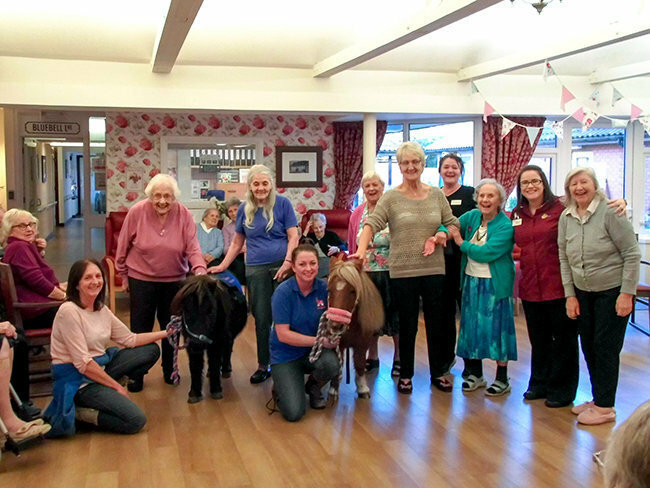 Firstly Lollipop and Tinkerbell, the Shetland Ponies, popped in to have a walk around and say hello, giving our residents a really pleasurable experience. Then Scooby and Hercules, two friendly Alpacas, visited to bring some furry fun. The residents were thrilled to be able to see these fantastic animals up close and thoroughly enjoyed both visits. 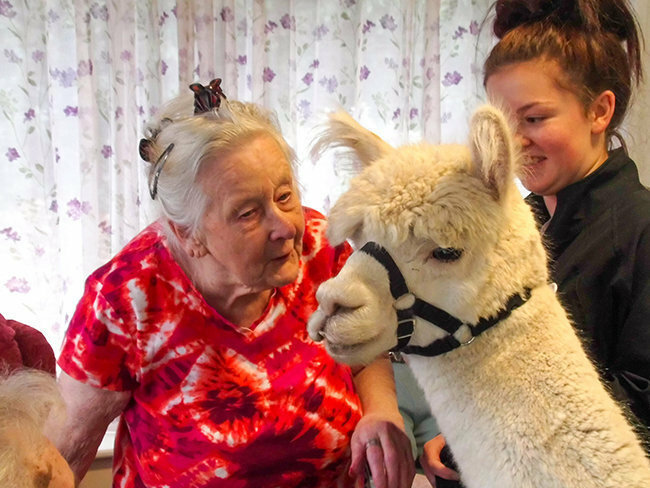 The professional care team at Orchard Blythe noted how great it was to see the residents interacting with the animals; feeding, stroking, hugging and talking to them. 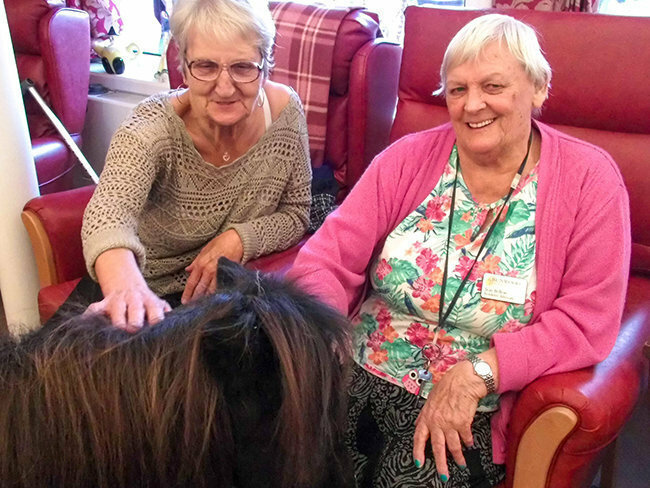 The furry friends are invited back to Orchard Blythe to catch up with our residents soon. 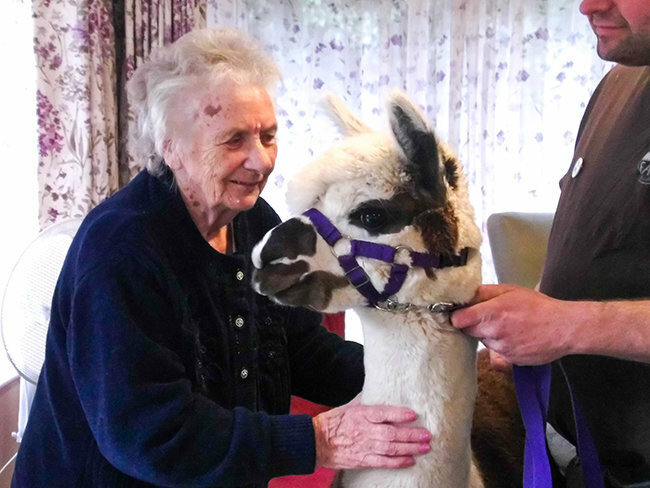 Making invaluable connections with organisations who support animals helping humans enriches the lives of our Runwood Homes’ residents, many of who are living with dementia. Interaction with pets has well-documented benefits to older people; mentally, emotionally and physically. Using pets as therapy or trained therapy animals improves motor skills, making people feel happier and lifted, encourages interaction and also triggers conversation and reminiscing. Benefits also include higher comfort levels and a sense of caring and companionship. Read more about this in our 'Runwood Residents Benefit from Pet Therapy' article. Rene, Irene, Jean, Barbara, Activities Co-ordinator Michelle, Christine, CTM Amanda, Winnie with Lollipop and Tinkerbell.